Happy Halloween! Yay! 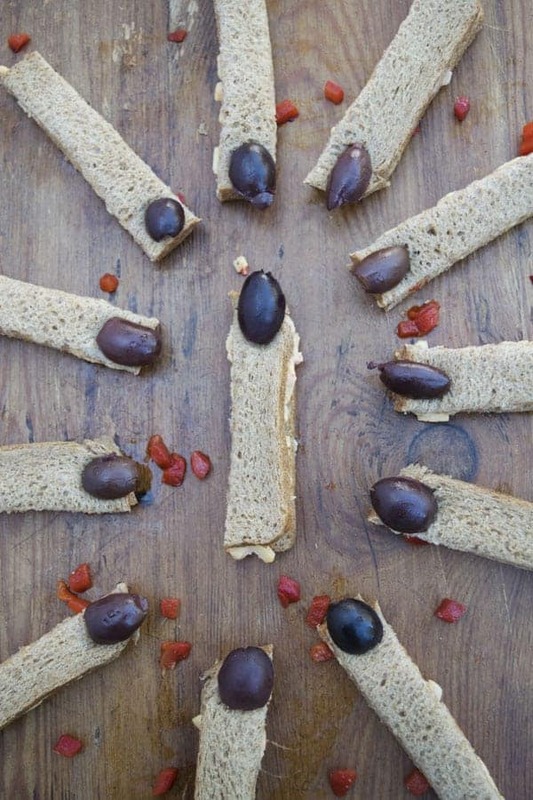 I came up with these creepy finger sandwiches last year for a Halloween party, and now they have become a tradition. I love how simple and somewhat healthy these creepy sandwiches are. We are excited about Halloween this year because we might actually get trick or treaters. We are making homemade pizza and passing out/eating candy all night. Enjoy this throw back post and have a spooky Halloween! I know. I know. I am a nerd, but I love that movie. I am a sucker for comedies. 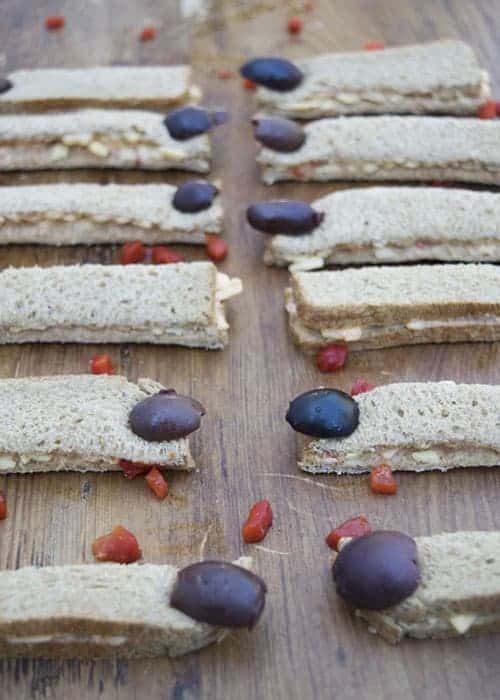 So I use Kalamata olive halves for the finger nails, but black olives would work too. Enjoy your creepy fingers! Mwahaha! 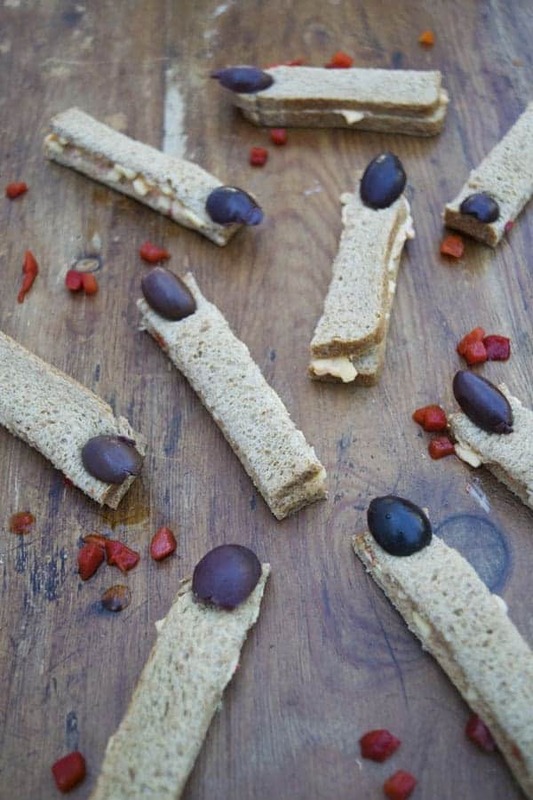 Enjoy these creepy finger sandwiches stuffed with pimento cheese! Lay out the bread, and slather of of the slices with pimento cheese. 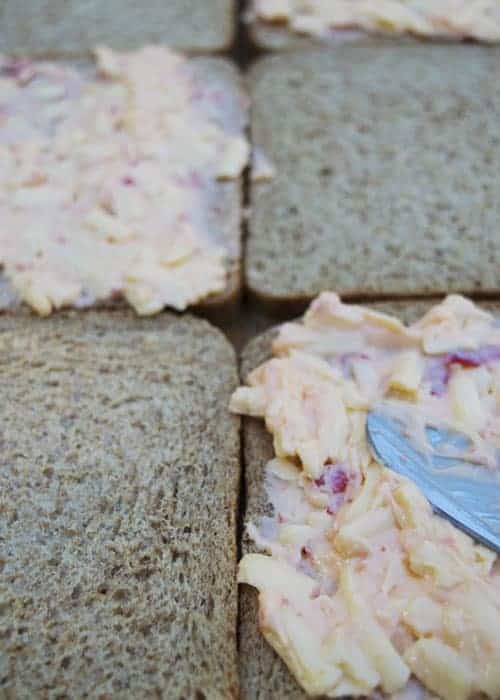 Place the dry slices on top of the pimento cheese slices to make little sandwiches. 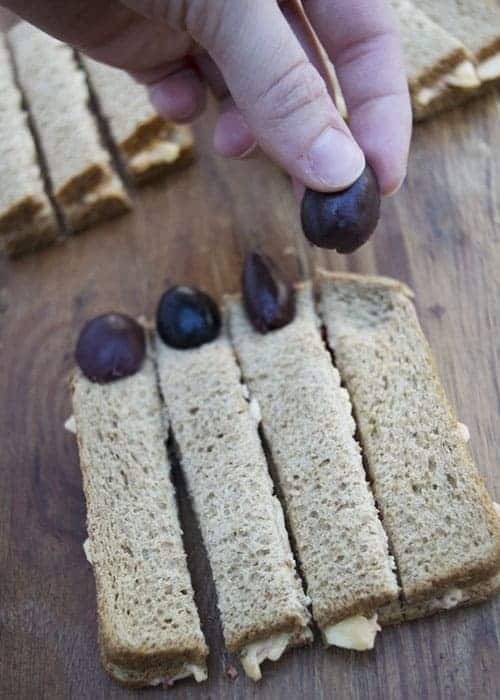 Cut each sandwich into four equal pieces. 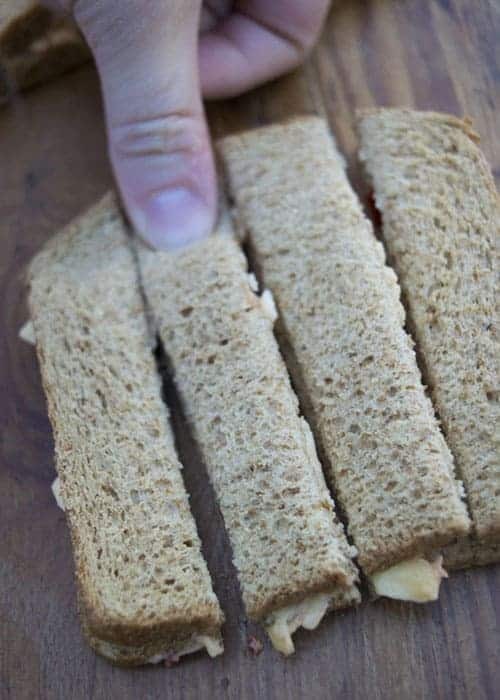 Use your thumb to make an indention at the end of each piece of bread. Place an olive half on the smashed part of the bread. Thank you so much Maya! 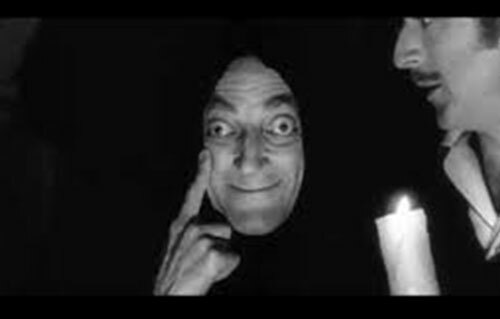 I will get you more recipes haha!